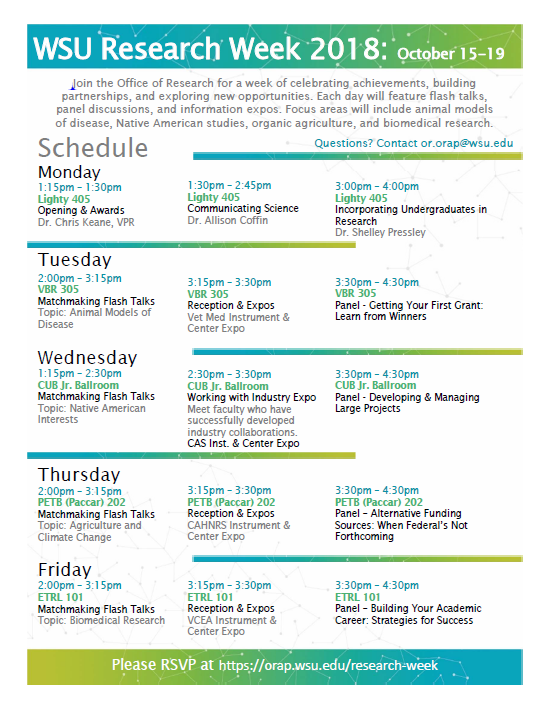 Join the Office of Research for a week of celebrating achievements, building partnerships, and exploring new opportunities. 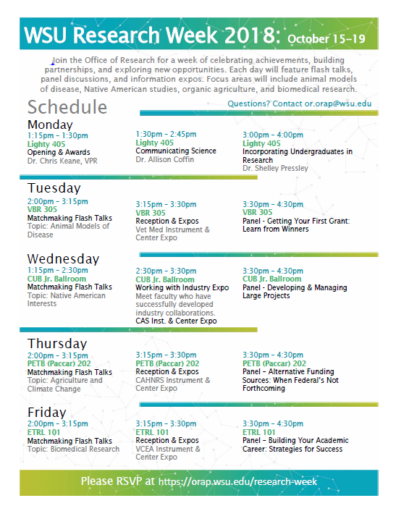 Each day will feature flash talks, panel discussions, and information expos. Focus areas will include animal models of disease, Native American studies, organic agriculture, and biomedical research.